Primary biliary cirrhosis, or primary biliary cholangitis, is a chronic condition where the bile ducts in the liver degrade over time and are eventually destroyed. The condition is incurable but there are treatments available for the condition from Dr. David Yamini in one of two offices in Santa Monica or Beverly Hills, California. There are several medications that are used in the treatment of PBC, including Ursodeoxycholic acid (UDCA), Optocollic acid (Ocaliva) and Fibrates (Tricor). A few other drugs are also used and have been shown to produce mixed results. In severe cases of primary biliary cirrhosis, the only viable treatment option is a liver transplant, the need for which arises when medications are no longer maintaining the condition. Dr. Yamini will also work with you to help control your symptoms. Patients may experience fatigue, itching, dry eyes and mouth. These symptoms are treated separately with different medications, as well as recommended changes to diet and lifestyle. As a patient of Dr. Yamini, you will receive a tailored treatment plan to fight the impacts of primary biliary cirrhosis. Dr. David Yamini strongly believes in delivering treatment and care with compassion. Each patient is facing his or her own challenges in life while trying to cope with the impact of health conditions such as primary biliary cirrhosis. It is important that those patients receive the highest quality of care available in California, which is available from Dr. Yamini. If you are searching for a primary care provider who understands your specific needs, Dr. Yamini will deliver excellence in comprehensive care. 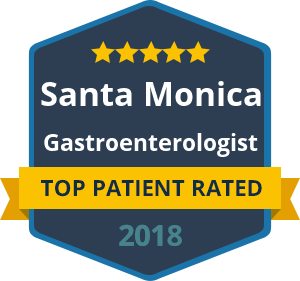 Contact our offices today if you are seeking a diagnosis or treatment for primary biliary cirrhosis in the state of California. We are confident that you will find a trusted physician in Dr. Yamini.